Become a Tiger Lily Member today. Tiger Lily Press is a fine art printmaking studio in Cincinnati, Ohio, located on the grounds of the Dunham Recreation Center in West Price Hill. The studio offers workspace, exhibition opportunities, classes, and a community for printmakers and art lovers. Devoted volunteers with years of experience in the field of printmaking maintain and operate the studios. With over forty members, and growing each year, artists enjoy working with others who share their passion for the printed mark. TLP memberships provide opportunities for projects, for networking in the field, and for ongoing development of artists’ career. Classes are available for beginners, artists looking for a refresher, or for teachers seeking continuing education. Collectors and arts supporters will find connections here with premier printmaking talent in the region. Tiger Lily partners with the local community, museums, and universities to fulfill TLP’s mission to produce, preserve, and promote the art of printmaking. Visit an open studio session or contact us to schedule an individual or group tour. Receive the latest news and updates via our email newsletter. 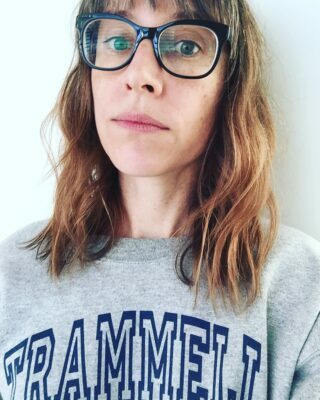 Tiger Lily Press is pleased to announce that the 2019 Working Artist Program (WAP) residency has been awarded to Breanne Trammell of Cincinnati, OH. She will utilize the letterpress equipment at Tiger Lily Press to expand on this series, and the other presses in the studio to create additional new work, as she prepares for a solo exhibition at the Weston Art Gallery in June 2020.